China, the world’s largest automotive market, recently pledged to ban fossil fuel-powered vehicles. They’re not alone in the battle against emissions. Norway wants all passenger cars sold in 2025 to be zero-emission vehicles. The Netherlands wants 50% of cars sold to be electric vehicles (EV) by 2025. The European Union is driving a mandatory lower target for emissions in 2020. India is pushing to sell only electric cars by 2030. This is just the beginning of regulations we’ll see around the world. Carmakers are working to meet the growing number of electric vehicle mandates around the world. Lowered emissions are driving the growth of HEVs/EVs. New emissions regulations position electric car development as an important priority for carmakers. It puts enormous pressure on them to quickly roll out electric and hybrid vehicles (HEVs/EVs), a market that’s poised for growth. 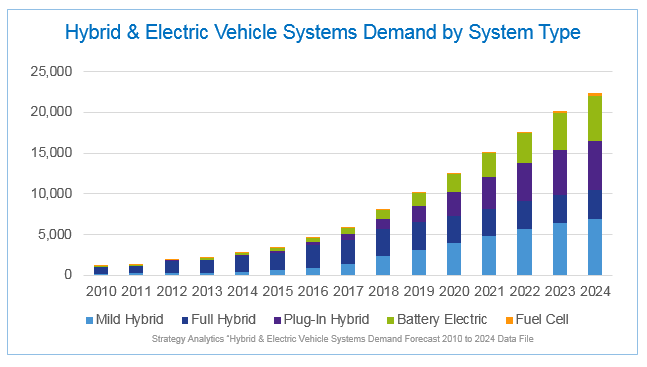 The combination of regulatory and market indicators coupled with long automotive development cycles requires automakers to begin the development of HEVs/EVs systems now — before the next wave of processors for electrification are available. How do carmakers tap the growing opportunities in the HEV/EV market? How do they quickly design next-generation electrification and combustion systems to meet new and emerging restrictions on emissions and fuel targets? As a response to these factors, NXP released the GreenBox development platform for next-generation hybrid and fully-electric vehicles. GreenBox allows automakers and suppliers to begin early development of next-generation hybrid and electric vehicle applications on NXP’s S32 automotive processing multicore platform based on Arm Cortex technology – before silicon is available. GreenBox is the development platform for the upcoming S32 electrification MCUs that will address the increasingly intensive computation and memory requirements for tomorrow’s HEV/EV applications, including optimal battery use, fuel savings, and lowered emissions across diverse topography and common tasks such as idling and braking. When an HEV/EV car is moving, it draws from all sorts of data, including topography, distance, grade, and weather. Control algorithms need to aggregate these conditions so that the car determines when to toggle between electric and combustion in hybrid models and also make sophisticated energy decisions based on a planned journey. An electric car also needs to make decisions about when to charge and when to expend energy based on this data. GreenBox electrification development platform is used to develop these control algorithms – and test them – in a real user environment before the final silicon is available. GreenBox is available in two configurations. The first is for development of fully-electric vehicles and supports motor control and battery management capabilities. The second is for development of hybrid applications, which supports both electric vehicle features as well as traditional engine control capabilities. With increasing regulatory restrictions on emissions and stricter fuel economy targets around the world, both traditional automakers and new market entrants need development tools to design electric and hybrid vehicles quickly. 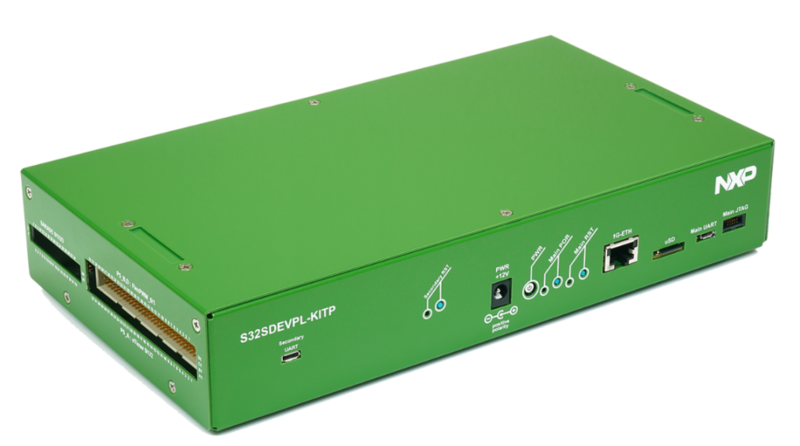 GreenBox offers a simple, out-of-the-box development path for HEV/EV designs that will use the S32 electrification MCU.